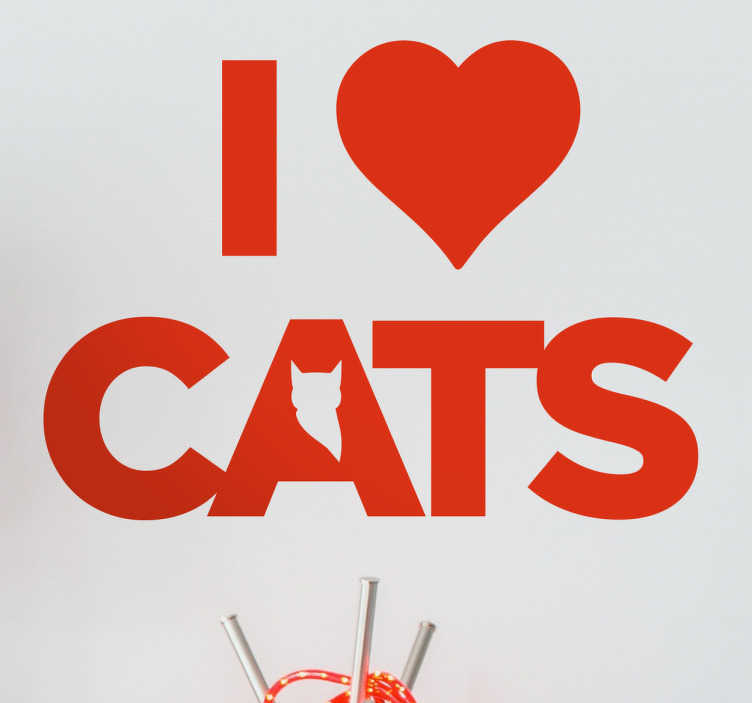 Let everyone know you're a cat person with this wall sticker. The sticker consists of the message "I love cats" written in a big, bold font. The word "love" is replaced with a love heart while the letter "A" is filled with the silhouette of a cat. This sticker is available in a variety of sizes and colours. We use a special adhesive film that is easily applied to any flat surface such as doors, walls, windows, etc.